One big problem with shopping for insurance, which the Affordable Care Act will fix, is lack of access to information. Even on sites like ehealthinsurance, it can be hard to compare plans– you have to look closely at each one to get information about deductibles, copays, coinsurance, and what’s covered– and some plans available in your area may not be on the site at all. 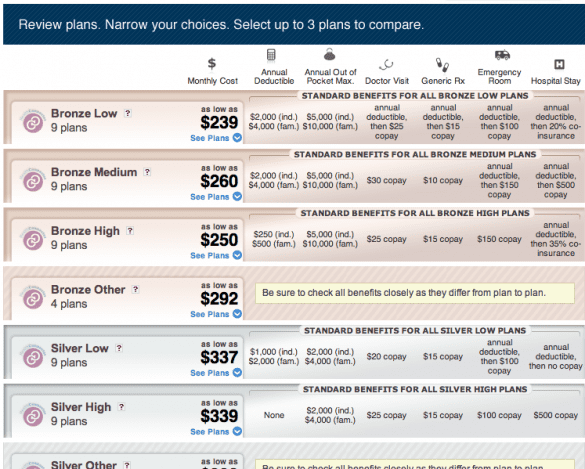 Also, the rates it shows are teaser rates– they could be much higher if you have a pre-existing condition. But here’s a question: What if the real problem isn’t access to information, but that insurance information is too complex to understand in the first place? If a health policy researcher with a PhD in economics finds insurance plans inherently hard to understand, the millions of Americans purchasing health coverage later this year– many for the first time– are in for a struggle. 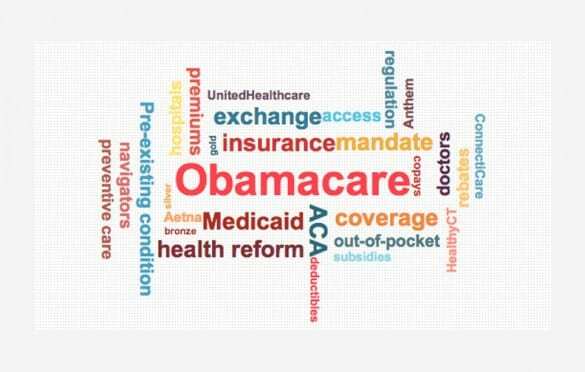 To help them out, here are the most important terms you need to know when purchasing health insurance. Most people know this one, but just in case… Your premium is the regular payment you make (usually monthly) to an insurance company to buy your insurance plan. The deductible is the amount you have to pay for healthcare in a year before your health insurance kicks in. Example: Let’s say you have a plan with a $1,500 deductible. You break your leg ice-skating, end up in the ER, and the bill is $1,000. You’ll have to pay the entire bill, because you haven’t reached the deductible yet. But, if later that same year you break your other leg rock-climbing (please be more careful! ), and the ER bill is again $1,000– this time you only pay $500. And now that your insurance has kicked in, for the rest of the year you won’t have to pay anything towards health bills… except copays and coinsurance. A co-pay is a fixed amount you pay for a service– usually for routine stuff, like visiting your primary care physician, a trip to the emergency room, or prescription drugs. It’s the same no matter how long the visit or how much the prescription costs (although sometimes plans will have different co-pays for brand name and generic drugs). Also, note that the deductible usually doesn’t apply to co-pays and vice versa (unless it specifically says so). Example: Say your plan has a $1,500 deductible and a $150 co-pay for emergency room visits. For each of those broken legs you’d only pay $150 (assuming they don’t do surgery or anything). That $150 co-pay doesn’t go towards the deductible though– meaning if you end up in the hospital later for surgery, you still have to pay the full $1,500 before your insurance kicks in. Sort of similar to a co-pay, but (1) is a percentage of the total cost, rather than a fixed dollar amount, and (2) is usually in addition to your deductible. Example: Say your plan has a $1,000 deductible and 20% co-insurance on hospital visits, and you have to get surgery on one of those broken legs that costs $10,000. You’ll pay the $1,000 deductible, plus another $1,800 for coinsurance (that’s 20% of the remaining $9,000), up to your out-of-pocket maximum. IMPORTANT: On healthcare.gov it looks like they’re specifying if copays and coinsurance come after the deductible. So if a plan says “10% coinsurance after deductible” that means you pay entirely out-of-pocket until you hit the deductible, then you pay 10% of the costs until you hit the out-of-pocket maximum for the year. If it doesn’t specify– say it just says $20 copay– then that $20 is all you’ll pay for the service, and the deductible doesn’t apply. This one is probably the most important, so listen up. The out-of-pocket maximum is the limit on how much you have to pay for healthcare in a year. Once you hit the out-of-pocket maximum, you don’t have to pay any more copays, deductibles, or coinsurance that year– your insurance company covers everything. Before health reform, out-of-pocket maximums could be ridiculously high. Obamacare limits out-of-pocket spending to $6,350 for individuals and $12,700 for families, but like premiums, this is also on a sliding scale based on income. Take a single adult making $15,000 a year– her out-of-pocket maximum can be no more than $2,250. But if her income doubled to $30,000 a year, her out-of-pocket maximum would be the full $6,350. Still, even knowing all the terms, this stuff is pretty complicated… and it gets worse. Take that coinsurance we mentioned earlier– it’s based on something called the allowed amount, which is what the plan will pay for a given service. If a provider charges more than the allowed amount, you have to make up the difference. So for example, say a hospital charges $1,500 for a hospital stay, but your plan’s allowed amount is only $1,000, and the coinsurance is 20%. You pay $200 (20% of the $1,000) plus everything over the allowed amount– in this case $500. Your total bill for that hospital stay would be $700. And that’s ignoring the deductible. Yeesh. So is there any way to make this easier? Lowenstein suggests eliminating deductibles, coinsurance, and every other form of cost-sharing except for copays. The co-pays would be higher, but, he says, a least consumers would know what they’re getting. Still that’s not going to happen before the exchanges go live in October, so if you’re buying insurance next year make sure you know these terms! @Lana: If it says deductible and coinsurance together, it probably still means 10% coinsurance after the deductible. They don’t always spell it out by saying “after,” but I can’t think of any reason it would mean something different without “after.” If it had *just* said coinsurance and didn’t mention the deductible, then it could mean the deductible wouldn’t apply to that service– in cases like that I’d double check with the insurer. Thank you so much for this, it really does help. Does that mean that to see a primary care doctor even once I’ll have to pay 100% of my deductible first before the $10 copay appointments kick in? @Ashley: You can always call the insurer to double check, but yeah, if it says “$10 copay after deductible” that generally means that you’d have to pay the entire deductible before those $10 copays kick in. However, for a primary care visit it could depend what you’re going in for. Under the ACA insurers have to cover certain preventive services for free (there’s a list at the bottom of this page: http://kff.org/health-reform/fact-sheet/preventive-services-covered-by-private-health-plans/) If you go to your primary doctor for one of those you wouldn’t have to pay the deductible or a co-pay. But you have to be careful– if you go in for a preventive service, but then ask about something like a cough or a pain in your knee, the doctor could then charge you for that part of the visit. @barbara: Yep, generally for out-of-network care, that 5% coinsurance applies to the allowed amount, and you’re on the hook for the balance of whatever the doctor/hospital bills. However, some states have protections that limit this “balance-billing” by providers in certain circumstances (New York in particular has strong protections against it). And you’re right that if a doctor/hospital is in-network, they have to accept the allowed amount, so your 5% coinsurance only applies to that amount. Where it gets tricky though is even if you go to a hospital that is in-network, there might be doctors working there who are out-of-network, and then those individual doctors could charge more than the insurer’s allowed amount and bill for the balance. So, if it says 100% coinsurance after deductible, we pay the deductible AND 100% of bill until the out of pocket has been reached? Doesn’t sound like a good deal. @Leslie: It actually depends. So normally when insurers talk about coinsurance they refer to the percentage that you, the enrollee, pays– but to make things even more stupidly confusing, I have seen some plans that say 100% coinsurance, when what they mean is that *they* pay 100% of costs after the deductible. On the Obamacare marketplace, coinsurance almost always refers to the part you pay, in which case you’d be right, the plan isn’t a very good deal. But if you’re looking on an insurance company website, or looking at the benefits your employer provides, it might be different and you should ask them. So I’m shopping for dental insurance for my fiance and I am just having a hard time with it. The deductible says it’s $50 . He is going to be needing to get major dental work done. There it says 47% coinsurance after deductible. So does that mean he woukd have to pay the 50 then 47% then could get the procedure done?? @Cierra: Yep, if it says $50 deductible, and 47% coinsurance after the deductible, then you have that right. One other thing to watch out for: a lot of dental plans also have an annual cap (typically between $750 and $1,500). So for your plan, that would mean the insurer would pay 53% of the procedure, but only up until they hit that limit– after that you’d be paying out-of-pocket again.